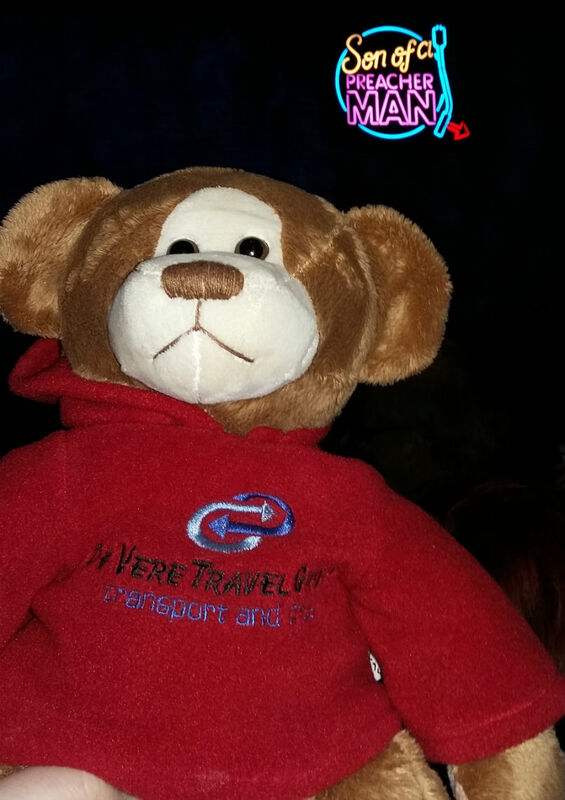 Great Night Out For Denzil the De Vere Bear! Denzil went on our trip Saturday night to watch Son of a Preacher Man at The Cliffs Pavilion, Southend. He thoroughly enjoyed himself and hopes that you can join us on one of our trips in the future!